At the end of each month we have a family dinner where we all head to my Nan's place in the East and it's something I really look forward to. There are however the usual dilemmas about what to cook and who will bring what - which is part of the fun I guess. Last week, I made a pumpkin pie to celebrate Halloween and took along two bottles of the Methode Tradionnelle range from Napoleone & Co in the Yarra Valley. The range includes a pear and an apple variety and this week I wanted to introduce you all to the pear. Silver winner of best Australian Perry at the Cider Oz awards last month - This quality cider is made by winemakers in the Yarra Valley. The Napoleone Family have owned and operated orchids in the Yarra Valley since 1948 and are well known for their range of Punt Road wines. Their cider range was launched in 2009 and they have already become a firm favourite of ours. When I try a new cider away from home, I get out my iPhone and record my initial thoughts in the notes function. 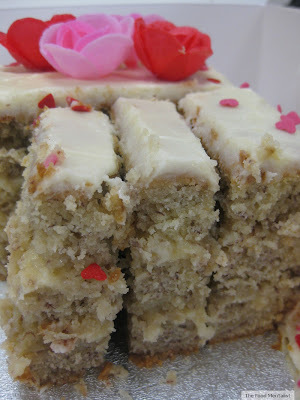 Two of the first entries I logged were 'delicious' and 'yummy'. Simple thoughts to begin with, but you get the idea.Because this cider is as the name suggests 'traditionnelle' I believe it is better served without ice. It's a personal preference but ice can sometimes mask the true flavour of a good quality cider. The bottles are also a highlight, the design of the calico style labels is a perfect fit for the 'traditional' cider contained within. The traditional method actually refers to the fermentation and ageing process which for this cider involves ageing on yeast lees for up to 3-4 months. What this actually does is impart a distinctive yeasty aroma and taste adding a level of complexity to the cider that you won't find in the majority of commercial ciders on the market. As you can appreciate, this process is costly and time sensitive and understandably the price must reflect this. This one has an almost non-existent very fine carbonation which again is in keeping with more traditional styles of cider. Upon opening, sweet baked caramel aromas are present. With a lovely balanced sweetness, this cider exudes sophistication and has a slight musty character. It does also have a nice creamy texture on the palate and for this reason is one of my favourite pear ciders on the market at the moment. It's definitely on a different level to the majority of pear ciders available. If you get a chance, please try this one. Made using 60% Packham Triumph pears and 40% Beurre Bosc variety, the flavour is delicate and delicious. This one will pair well with lighter flavoured fresh foods as strong flavours which include chili or curries may dominate your palate and distract from the lovely flavours of this cider. It is a refreshing and clean finishing cider so keep this in mind when selecting foods to pair with it. 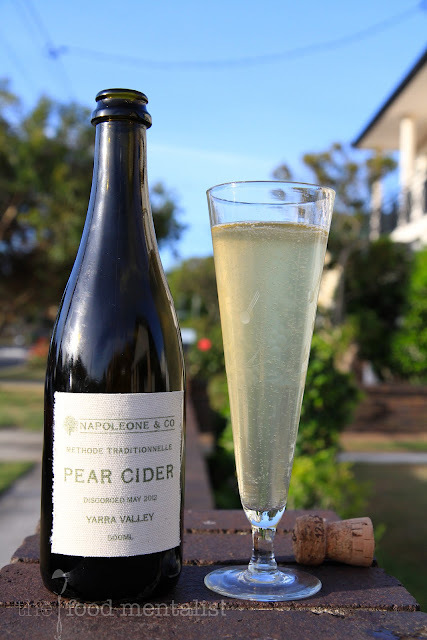 Sydneysiders can still purchase Napoleone & Co Traditionnelle Pear Cider @ Camperdown Cellars & Salt Collins in Northbridge. Retail - Approximately $22 per 500ml Bottle. 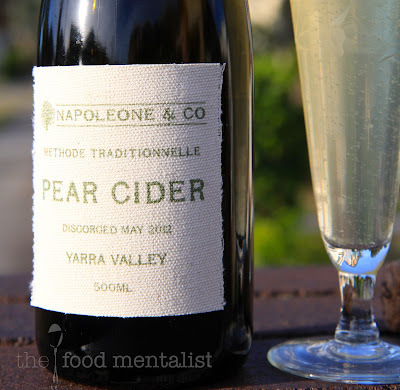 The Food Mentalist received a sample of Napoleone Methode Traditionelle Pear Cider compliments of Punt Road Wines. Interesting about the ice! I had no idea that it could mask the taste of cider (although I must admit, I've never tried it with ice).